Nite Owl Creates: The Color Run 5K Discount Code! 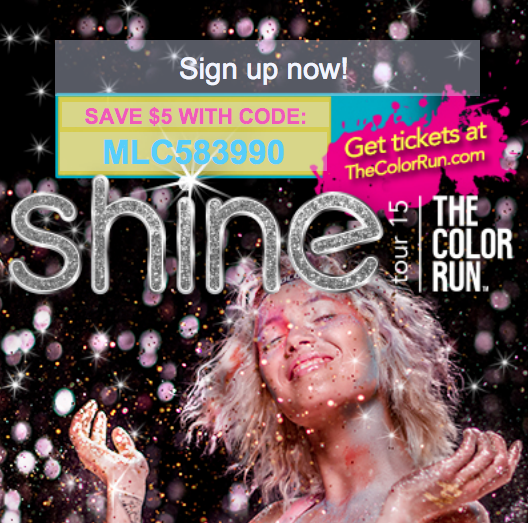 The Color Run 5K Discount Code! Just watching the video above makes me feel super pumped for this year's Color Run! 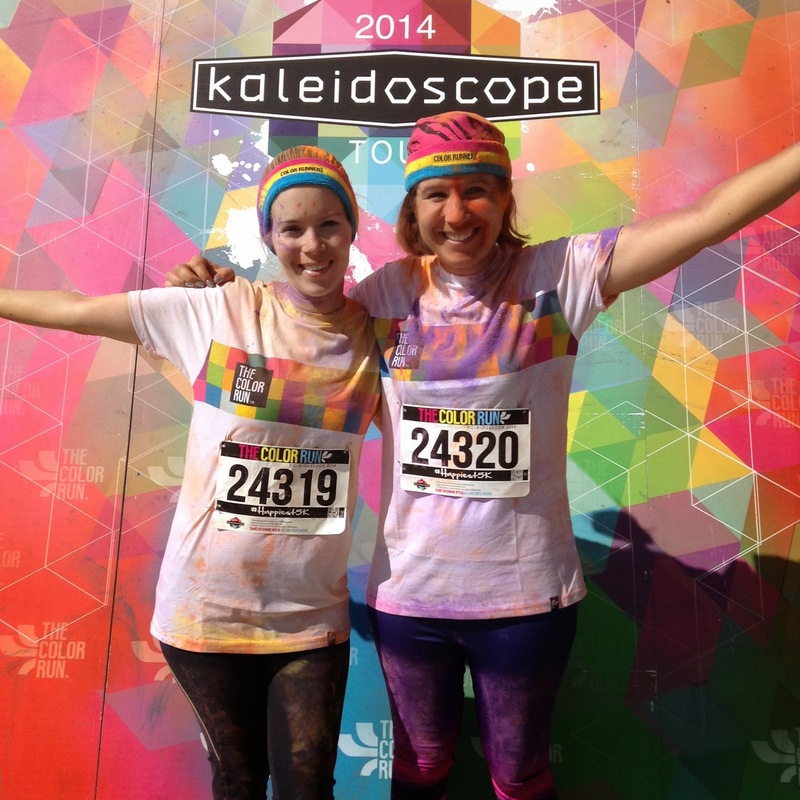 I participated last year with my sister in Salt Lake City and it was so much fun. The Color Run, also known as the Happiest 5k on the Planet, is a unique paint race that celebrates healthiness, happiness and individuality. Now the single largest event series in the world, The Color Run has exploded since our debut event. We have more than tripled our growth, hosting more than 300 events in 50+ countries in 2014. Everyone in 2015 will receive a limited edition Shine Tour Participant Kit, including: custom race tee, gold finisher's medal, tricolor headband w/ silver stitching, brand-new shine packet, and shiny tattoos. Talk about "bling" with benefits! We're pumping up the 5k course and finish festival too! Look for a unique Sparkle Zone and killer photo ops on course. At the finish festival, get ready for confetti cannons, shimmering clouds of color, and more! 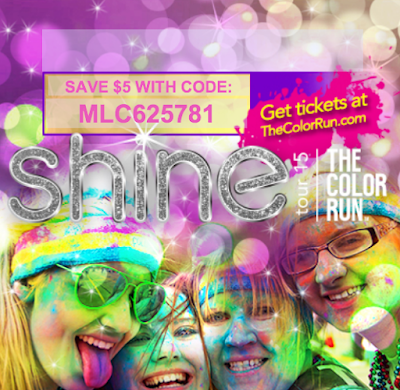 Use the discount code MLC625781 to save $5! Craft Warehouse - Portland, Oregon!